Welcome and thank you Jo Howski, Home of Houseplants (HoH) on becoming a member of Interior Plantscape Association. HoH is looking forward to actively contributing to the IPA and showcasing wherever possible, the amazing work of the members who are part of it. I’m Jo Howski and with the help of my husband John Absolon and three young children, I operate Home of Houseplants (HoH), a boutique online retail store based in South Australia that offers an ever-changing collection of rare and hard to find indoor plants for Australian customers, delivered to their door. For most of my professional life, I have been employed as a Solicitor full-time but have had a lifelong love of plants and gardening. When most kids would have posters of rock stars and famous actors on their walls, I had an illustrated botanical print of herbs that detailed their genus and species and medicinal uses. In 2012 I began collecting indoor plants, mainly aroids and began selling any spare plants I had on eBay to fund my growing hobby to collect even more plants. In early 2018, I decided to recently take the plunge to establish an online business due to the amount of demand there was in Australia for indoor plants. We have been operating for over 18 months and have many happy customers. We use applications on our website that allows each customer to post a publicly available review of the products they have purchased, in addition to other online tools to promote our business. We also invest heavily in search engine optimisation and online marketing to ensure that we are on page one of Google when customers search for indoor plants Australia. For 12 months, Home of Houseplants has achieved full accredited with Biosecurity SA to chemically treat our permitted plants for entry to Western Australia, Tasmania and Northern Territory, so no longer do you need to miss out on all the cool plants if you do live in one of these strict quarantine areas of Australia. Home of Houseplants can offer this service for an additional fee for plants purchased through our website or via our plant concierge service, for plants purchased from another third-party seller, such as on eBay or from other businesses and nurseries. Provided they are permitted into WA, Tas or NT, this service now provides customers in WA, Tas or NT the opportunity to join in with the rest of Australia in buying the plants they have always wanted. Home of Houseplants has already sent hundreds of plants into WA, Tas and NT and so far have had 100% success in ensuring plants reach their new owners. I would love for you to listen to my latest indoor plant-related project, my Podcast Home of Houseplants the Audio Experience, available for download from iTunes, YouTube, or my website www.homeofhousplants.com.au and remember to leave a comment and subscribe. I am always on the lookout for new guests for the podcast so if you are interested in showcasing your business, please reach out to me. 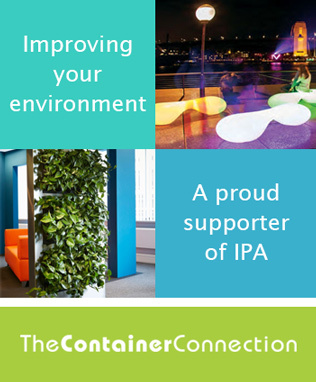 HoH is looking forward to actively contributing to the IPA and showcasing wherever possible, the amazing work of the members who are part of it. Thank you for the warm welcome.